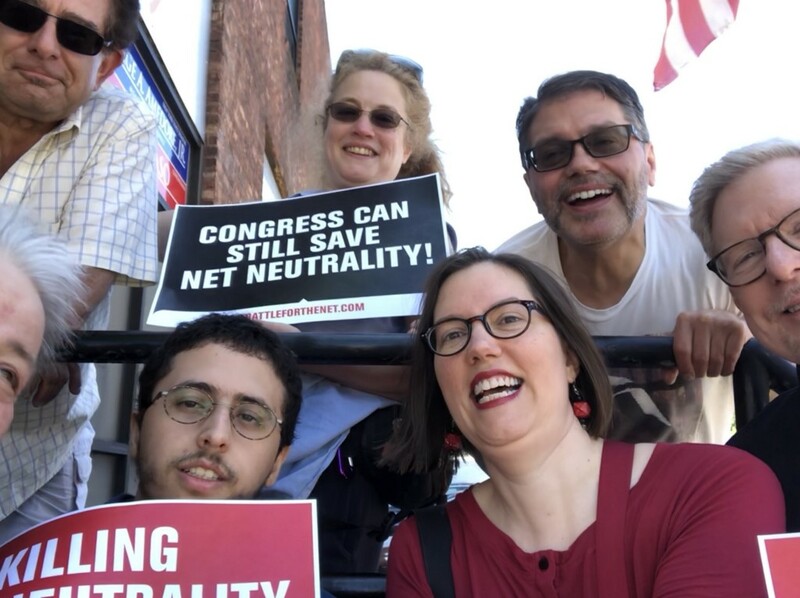 Protesters gather outside Rep. John Faso’s (NY-19) Kingston office during July 19th rallies to save net neutrality. In August, a group of small business owners and I met with Congressman John Faso to discuss the FCC’s repeal of net neutrality. As the owner of a Gardiner, N.Y. based technology consulting company, I know that the power of the Internet is that it is not controlled by any one industry. In a disastrous move for small businesses in New York, the FCC’s vote changed that and handed control of the Internet to the telecom oligopoly. We pressed the Congressman on what he plans to do about this. In a deeply disappointing but revealing response, he said that we need to wait until Congress passes net neutrality legislation. That is nonsense. Before the FCC revoked it, net neutrality had been in place for decades. Waiting for legislation is not an option — the FCC’s vote has placed all the power with the giant ISPs. The Senate passed a bipartisan Congressional Review Act resolution overturning the FCC’s order. We asked Rep. Faso to join his colleagues and sign the CRA’s companion discharge petition in the House. If he chooses not to sign the petition, his constituents will know that he favors the telecom lobby over small businesses in his district. John Faso puts Big Telecom before small businesses in New York was originally published in Demand Progress on Medium, where people are continuing the conversation by highlighting and responding to this story.